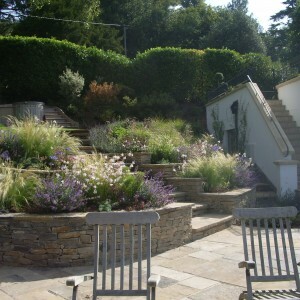 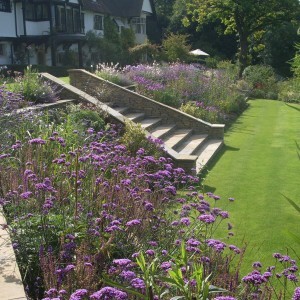 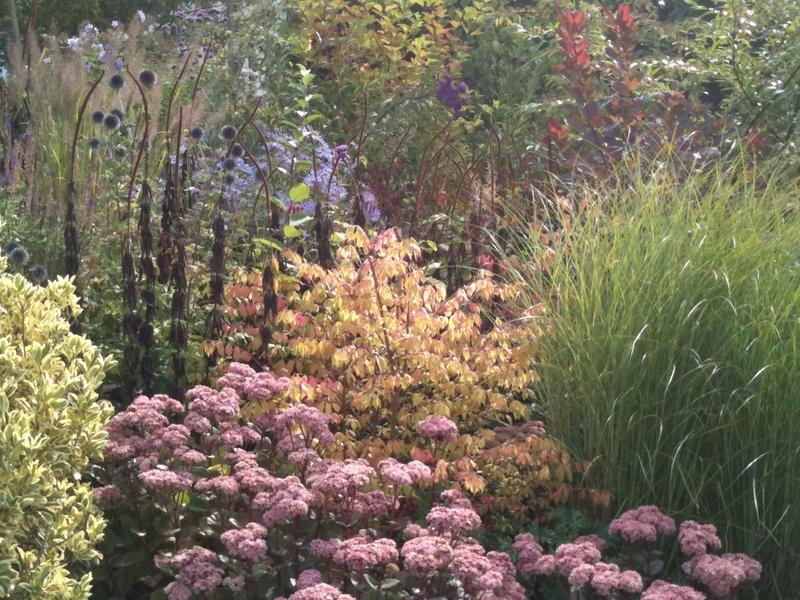 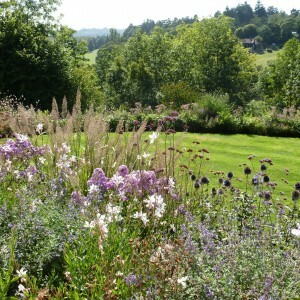 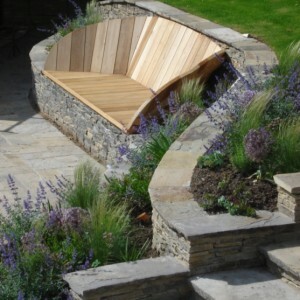 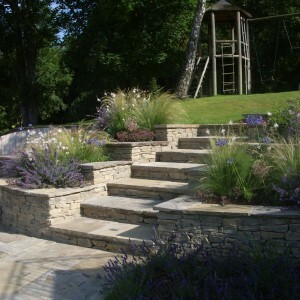 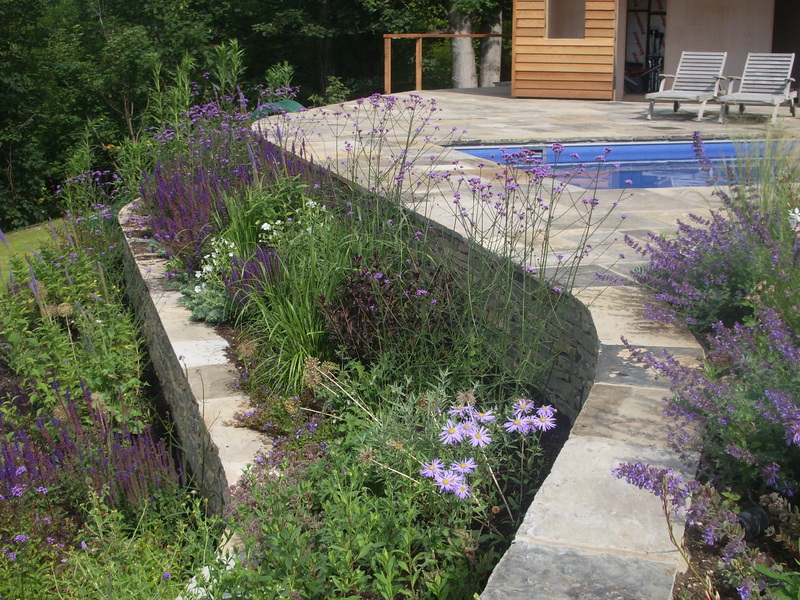 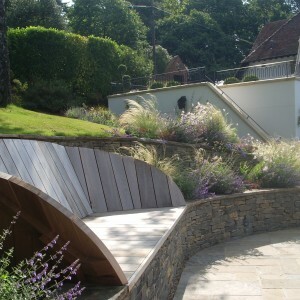 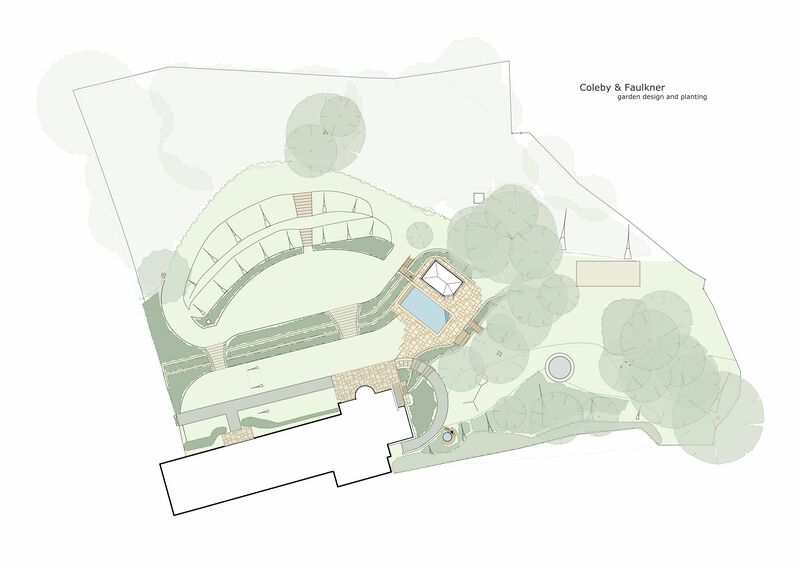 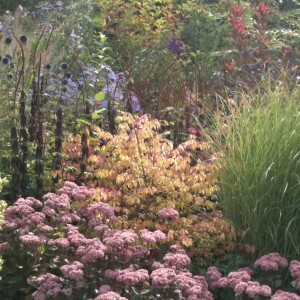 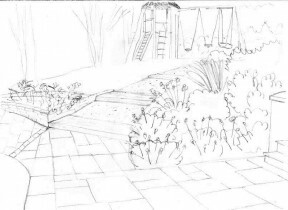 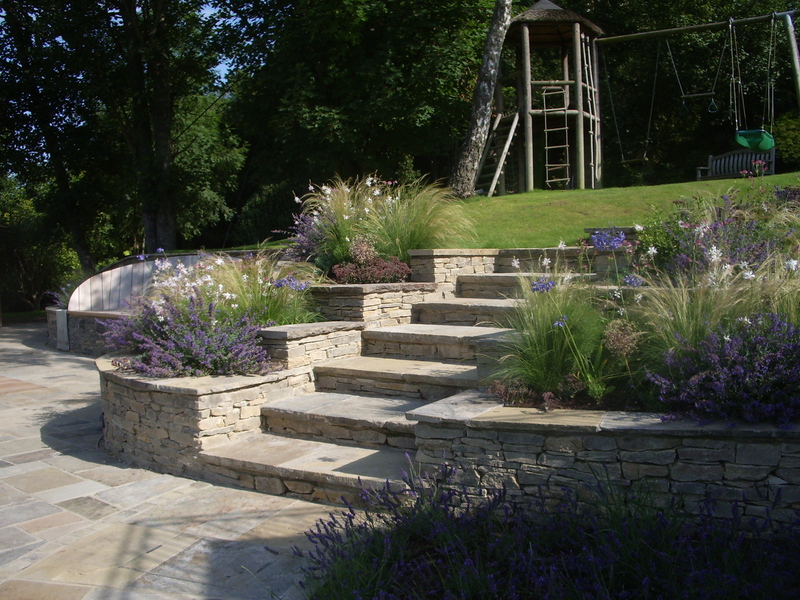 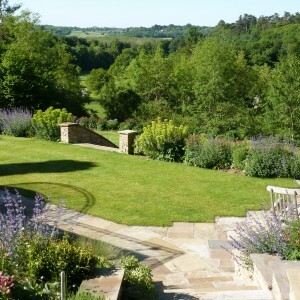 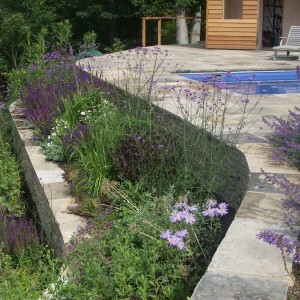 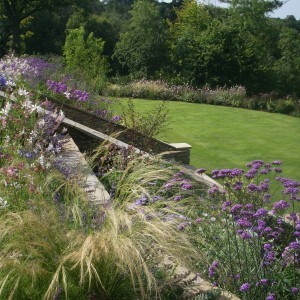 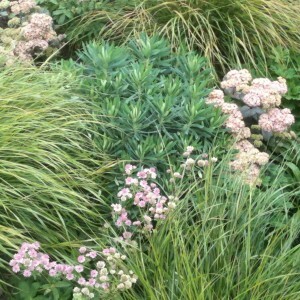 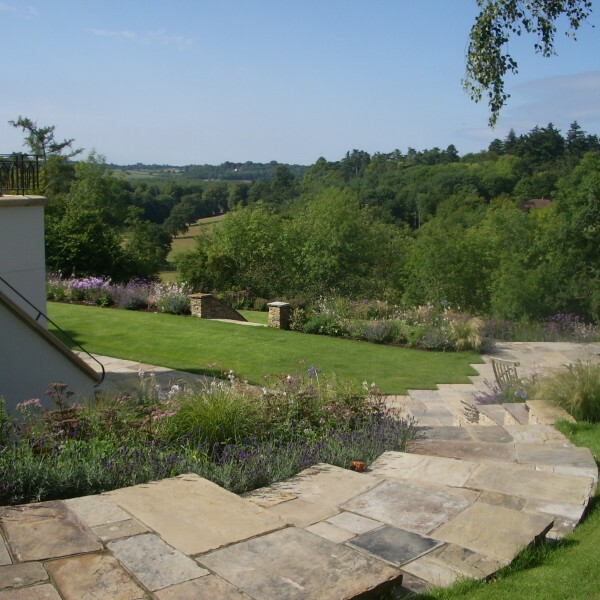 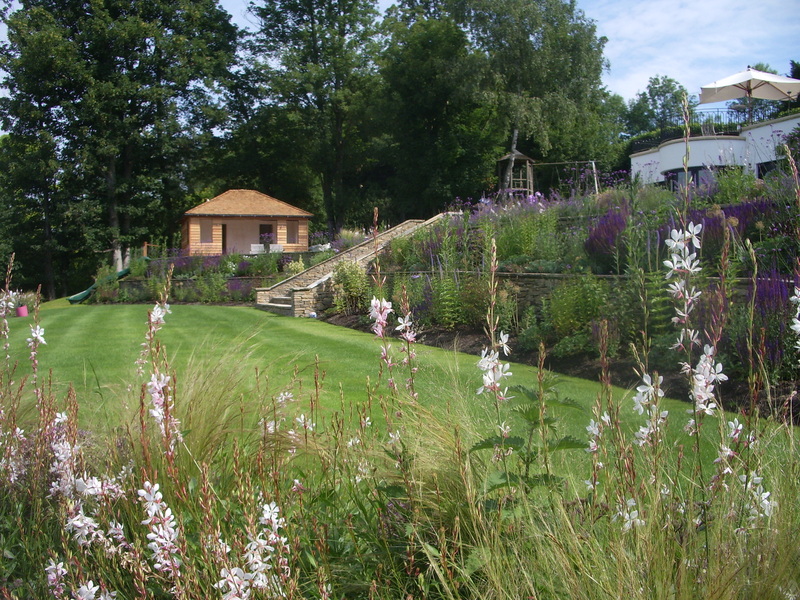 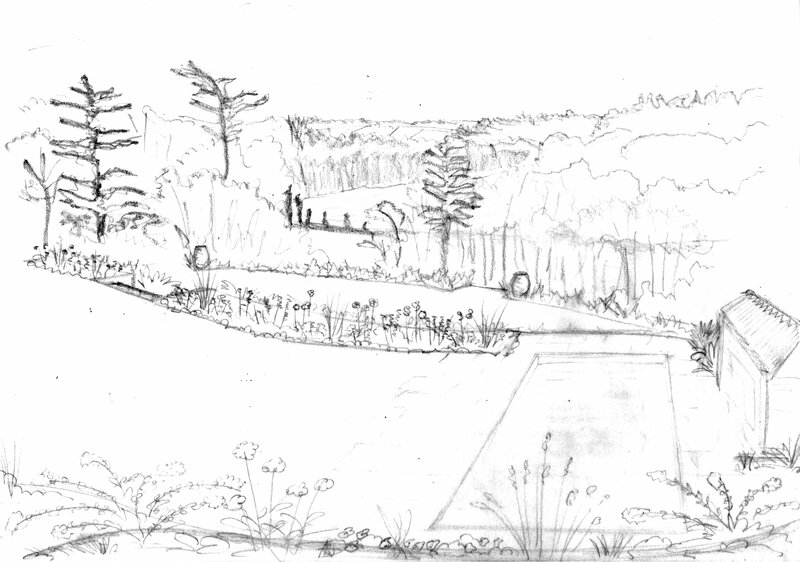 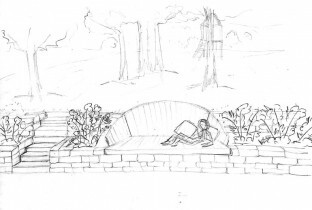 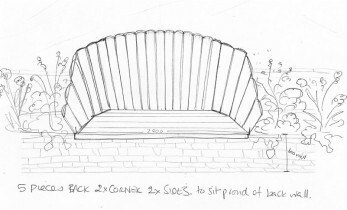 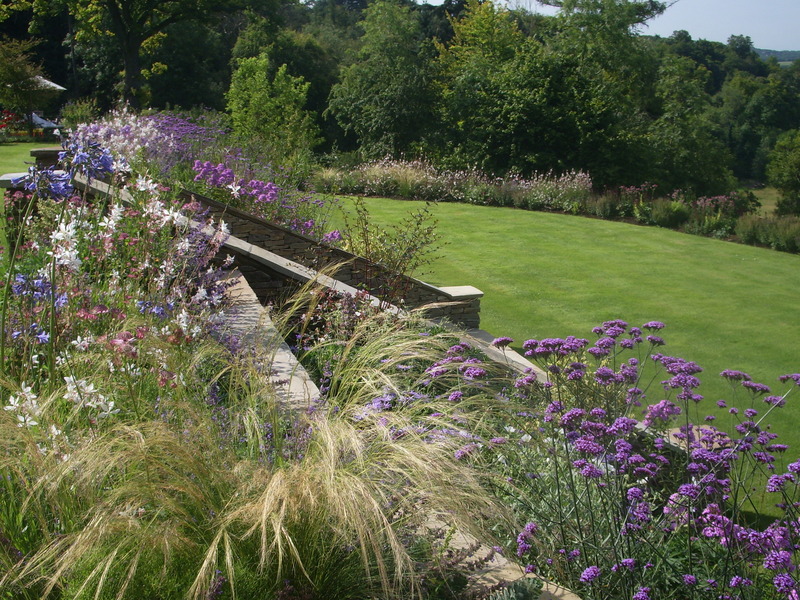 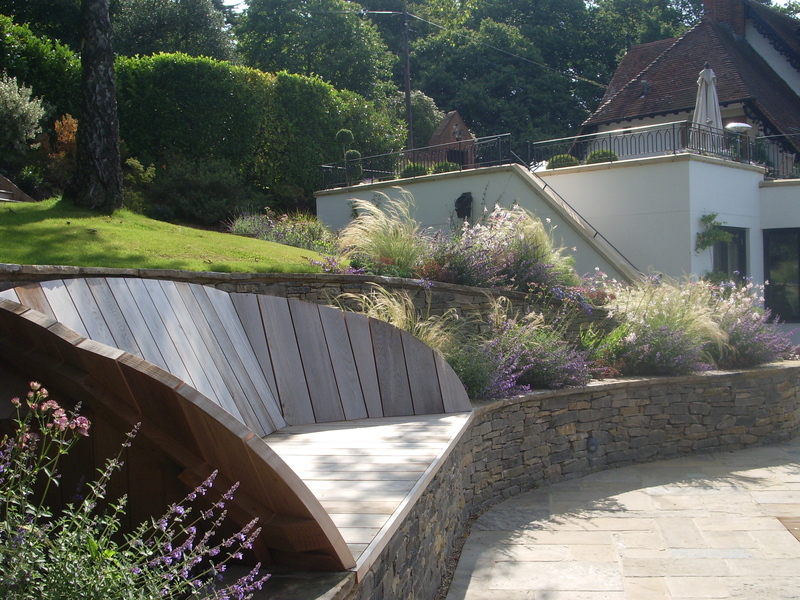 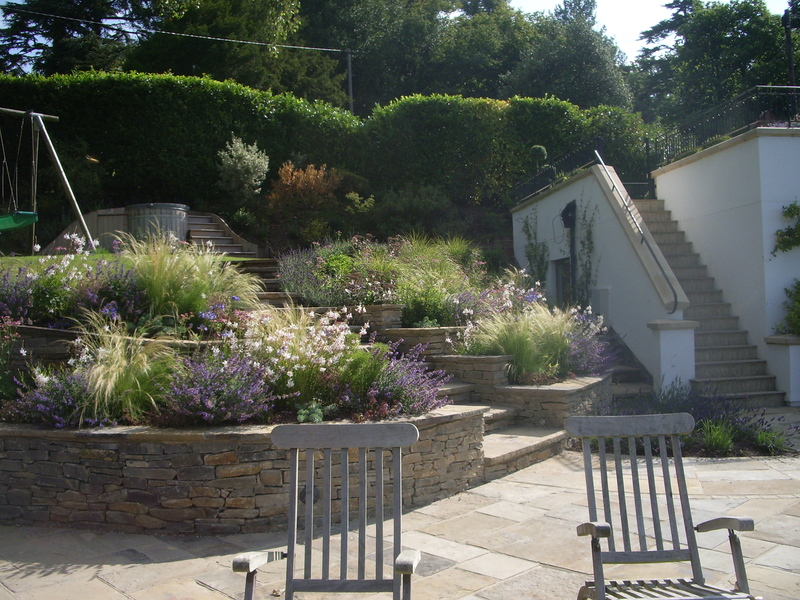 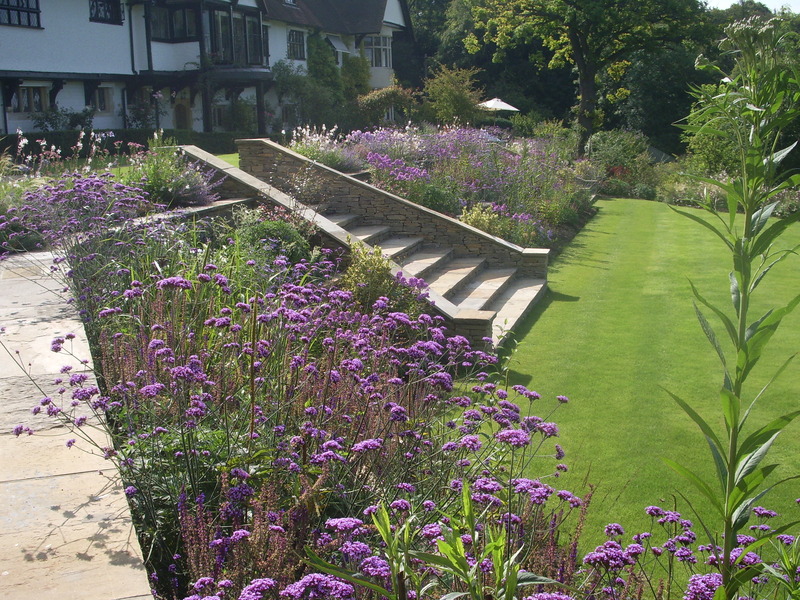 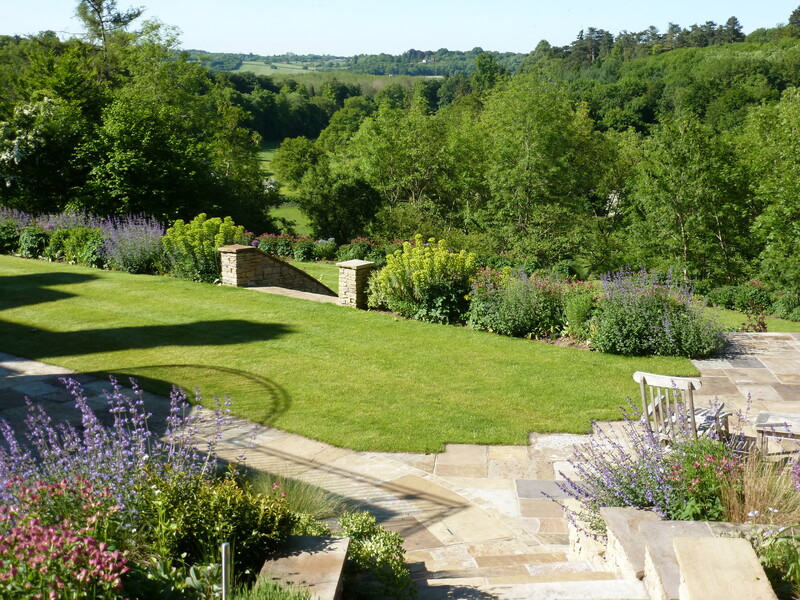 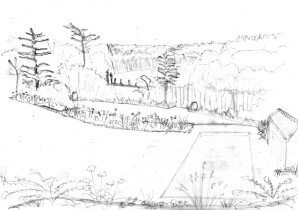 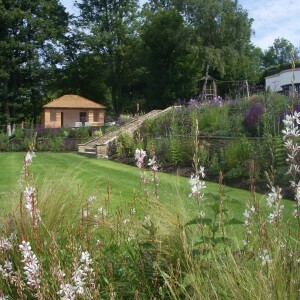 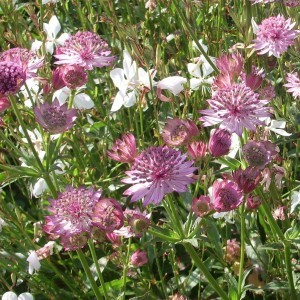 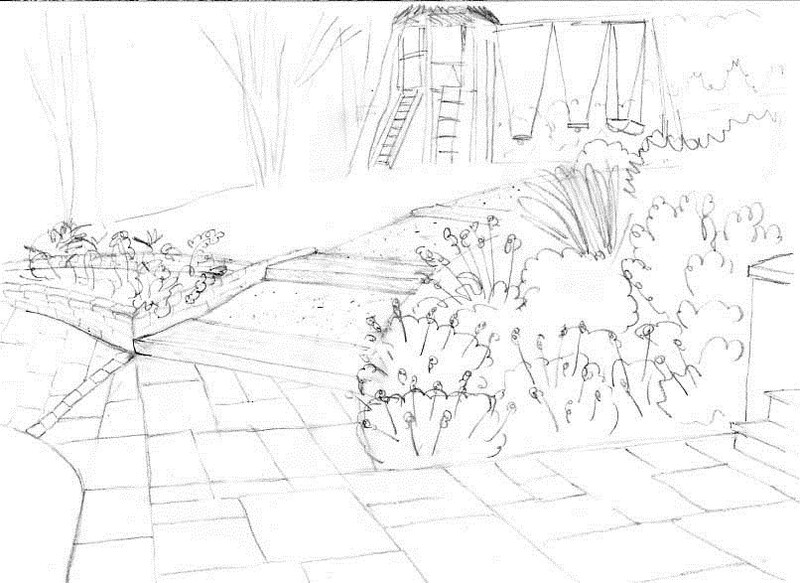 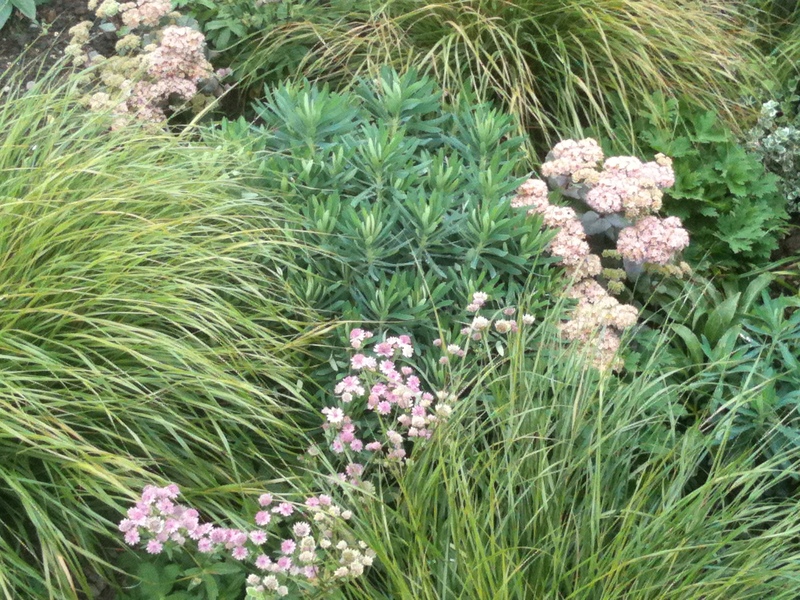 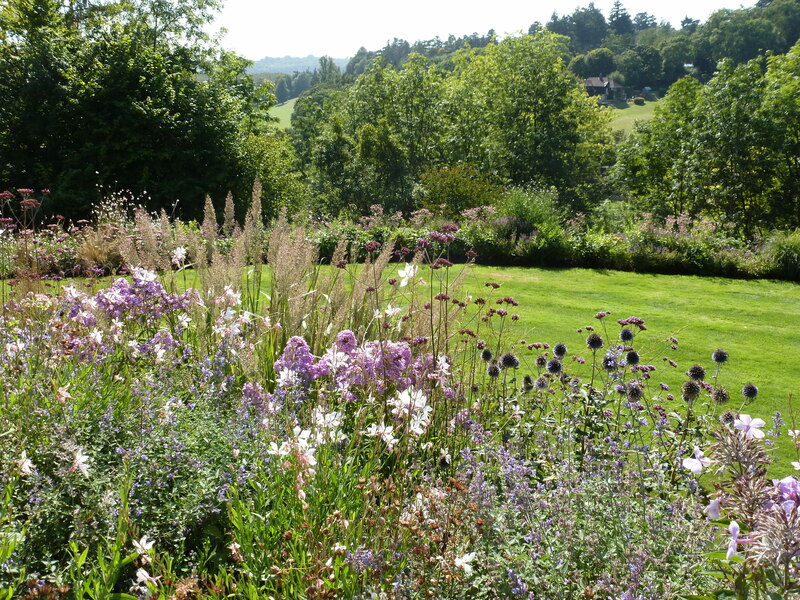 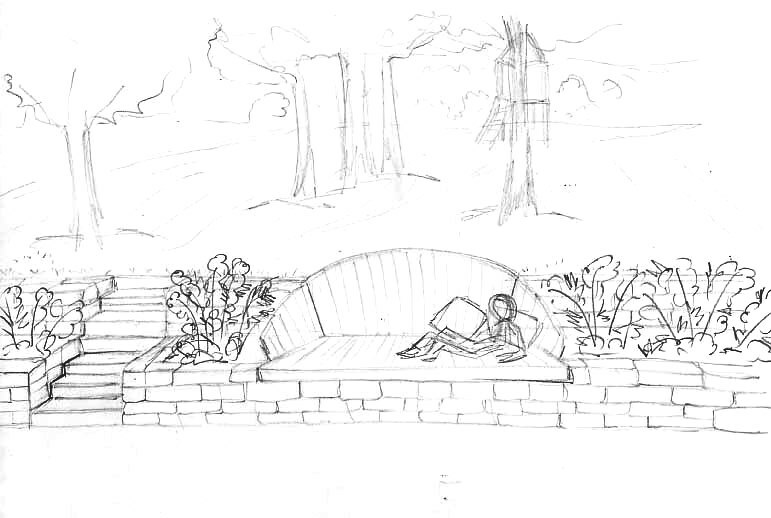 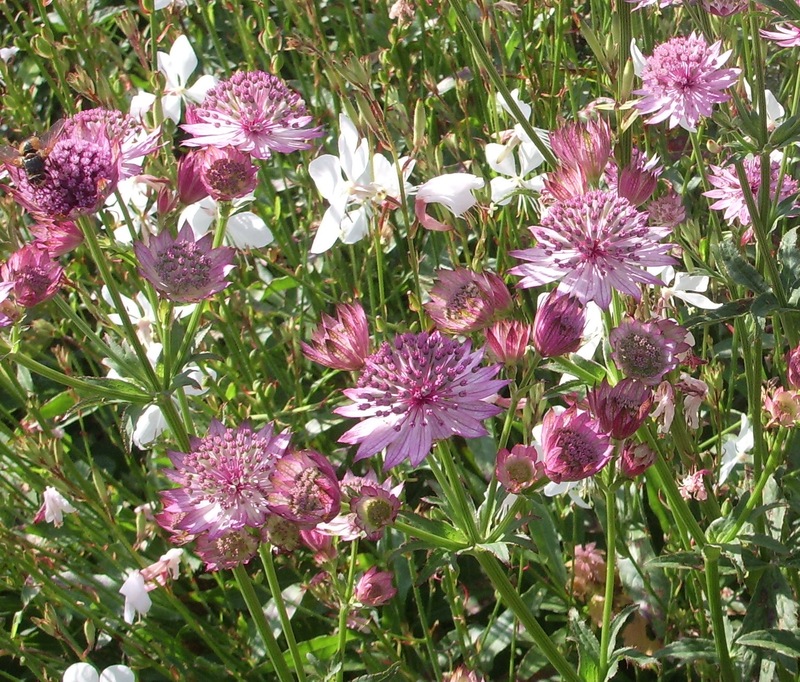 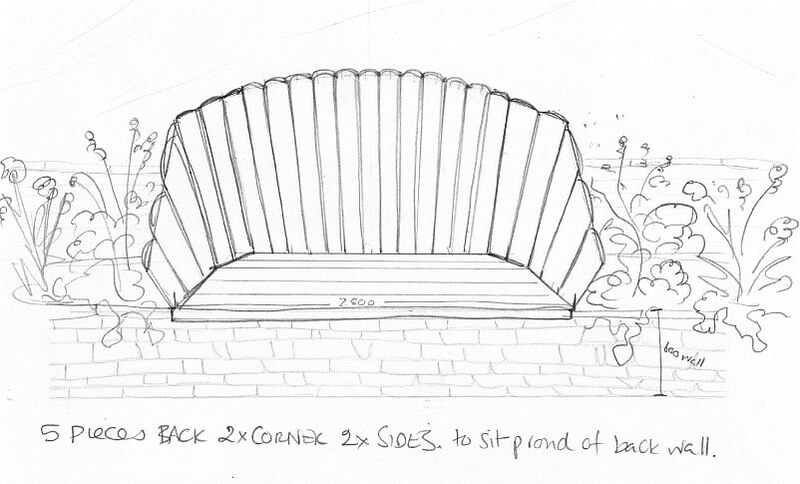 Naturalistic planting compliments the use of local materials and connects the garden to the wider landscape. 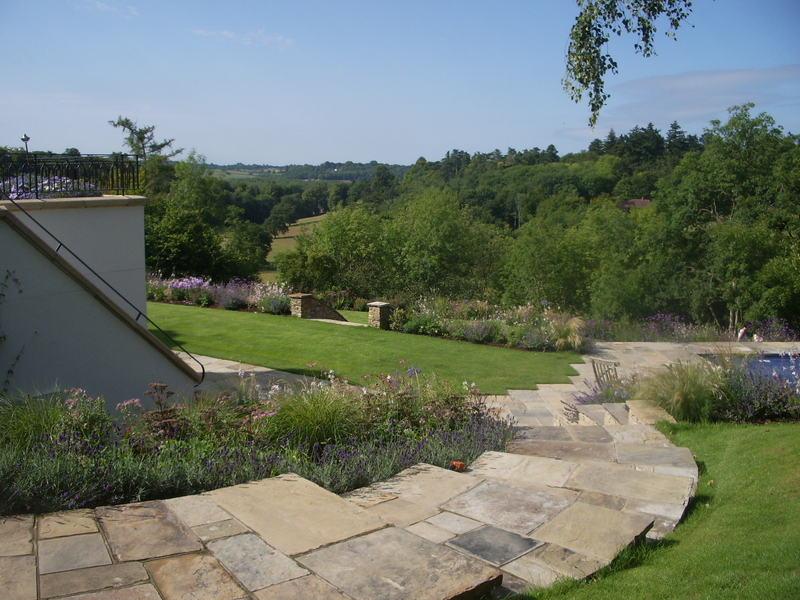 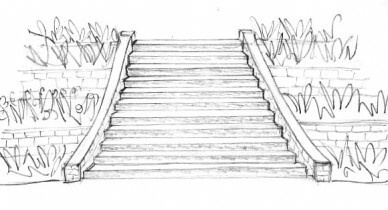 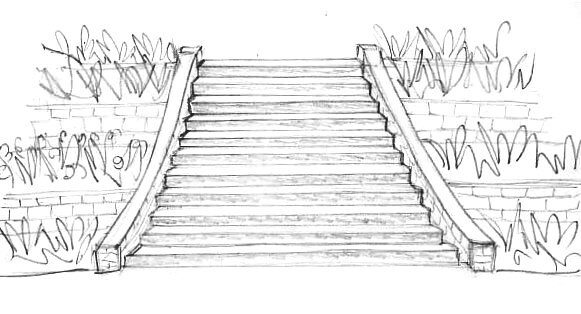 Stone steps rise up around the end of the house to the new hot tub in the bank, positioned to make the most of the views down the valley. 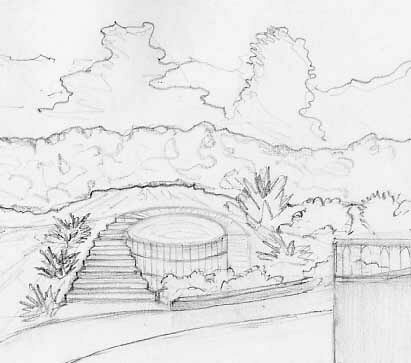 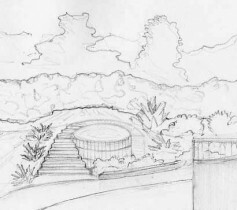 The curved stone walls continue around the end of the pool connecting it to the main garden terraces. 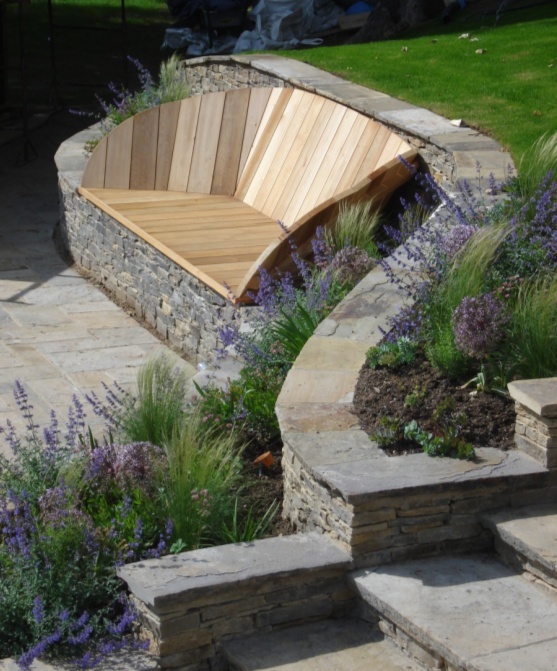 A bespoke oversized lounging deck built into the wall at the back of the pool, is perfect for sunbathing and enjoying the view .